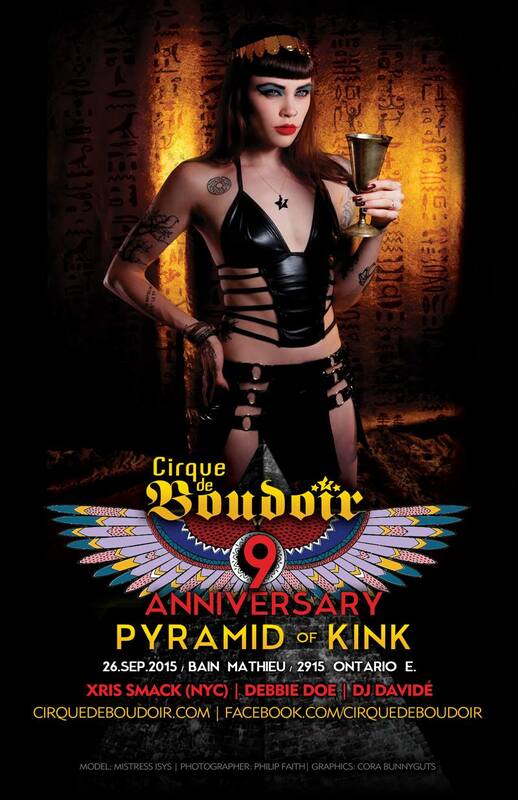 Get ready to SPANK like an Egyptain at PYRAMID of KINK! Get yours before September 1st! :Cirque de Boudoir, DJ Davidé, Electro, Fetish, VJ BunnyGuts, Xris SMack!